Have you ever wanted to take a picture of what you were viewing through your telescope? The Orion SteadyPix Deluxe Camera Mount lets you! It securely holds most point-and-shoot cameras up to an eyepiece for afocal photography of celestial objects. 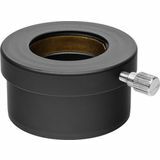 The 1/4"-20 Orion Adapter for EQ-1 Telescope Mount provides a threaded post for attaching instruments equipped with a 1/4"-20 threaded socket. 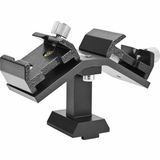 Attach two different aiming devices to your telescope quickly and easily with the Orion Dual Finder Scope Mounting Bracket. 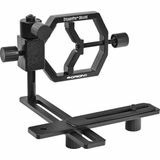 Use any combination of finder scope, reflex sight, green laser pointer bracket, mini guide scope, without having to use tools. 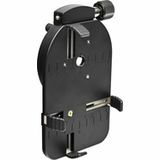 This easy-to-use mounting bracket securely holds your point-and-shoot camera or smartphone right up to your telescope's 1.25" eyepiece, at the perfect position and focus point, allowing you to capture high-magnification pictures of the night sky. 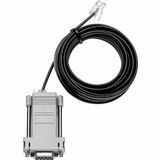 The Orion Intelliscope to PC RS-232 Connector Cable allows you to connect your IntelliScope Object Locator to a serial port on your personal computer so you can use astronomy software to control your Orion Dobsonian IntelliScope. 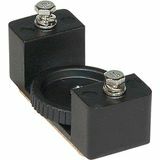 The 1.25" Variable Universal Camera Adapter slides into the telescope focuser and connects to a camera t-ring for prime-focus or eyepiece-projection photography. The sliding barrel design lets you vary the magnification without changing eyepieces. 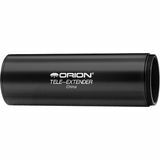 The 1.25" Orion Standard Tele-Extender is essential for eyepiece projection photography with Schmidt-Cassegrain telescopes. It fits all Celestron and Meade Schmidt-Cassegrain and permits high magnification photography of the Moon and planets. 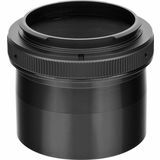 The Superwide 2" Prime Focus Adapter provides the widest possible clear aperture to minimize vignetting - darkening around the edges of the image sensor - in DSLR astrophoto exposures, even when using cameras with large, full frame sensors. 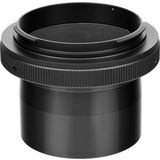 Nearly 10mm wider than standard T-adapters and T-rings, the Orion Superwide 2" Prime Focus Adapter boasts a clear aperture of 47.4mm for great full-frame DSLR imaging performance. 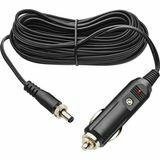 Thias handy cable is designed to work with select Orion GoTo telescope mounts, including StarSeeker IV GoTo, SkyView Pro GoTo, Sirius EQ-G GoTo and Atlas EQ-G GoTo telescope mounts. Auto-lighter style plug connects to portable 12V field batteries. Power your astronomy gear with a household outlet! 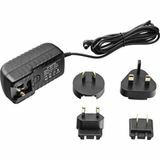 The Orion AC 100-240V to DC 12V 2.1A Worldwide Power Adapter features four interchangeable wall-plug adapters for convenient international use. Type A, Type C, Type G and Type I plugs are included. 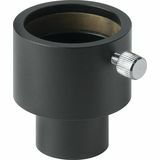 This aluminum adapter allows secure, threaded attachment of the Orion Paragon-Plus Binocular Mount to the built-in tripod adapter found on many large astronomy binoculars. This inexpensive photo adapter provides the stability you need to take great pictures of the view through a telescope, binocular, or microscope eyepiece with a smartphone camera. 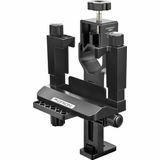 Its twist-lock eyepiece clamp makes installation quick and easy. Do you want to be able to use your 1.25" Eyepieces with a telescope that normally requires .965" optics? The .965"-to-1.25" Orion Eyepiece Adapter allows you to do just that. 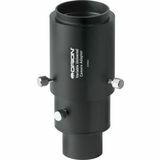 The 2"-to-1.25" Orion Eyepiece Adapter allows you to use 1.25" telescope eyepieces in any 2" focuser, star diagonal, or holder. 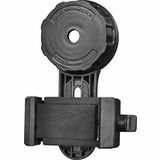 Attach the Orion Precision Slow-Motion Adapter to any camera tripod to add micro-motion control. It is very useful for tracking celestial objects with binoculars or spotting scopes. 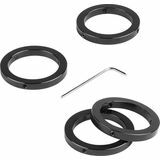 Our Set of Four Orion 1.25" Parfocal Rings let you make an assortment of non-parfocal eyepieces parfocal by setting the depth of each eyepiece barrel in the focuser to the same exact focus point. Save observing time by eliminating focus adjustments. 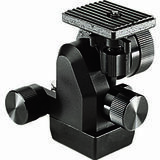 The 1/4"-20 Adapter couples small telescopes to the dovetail saddle of VersaGo, AstroView, SkyView Pro, Sirius, and Atlas Mounts. 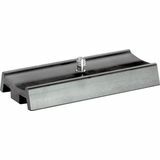 This telescope mount adapter provides a threaded post for attaching telescopes equipped with a 1/4"-20 threaded socket. 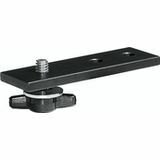 The 1/4"-20 Orion Adapter for EQ-2 Mount provides a threaded 1/4"-20 post for easy and secure attachment of cameras, spotting scopes, small telescopes, and binoculars to the Orion EQ-2 equatorial mount. 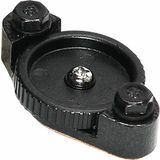 Great for taking star-trail astrophotographs.